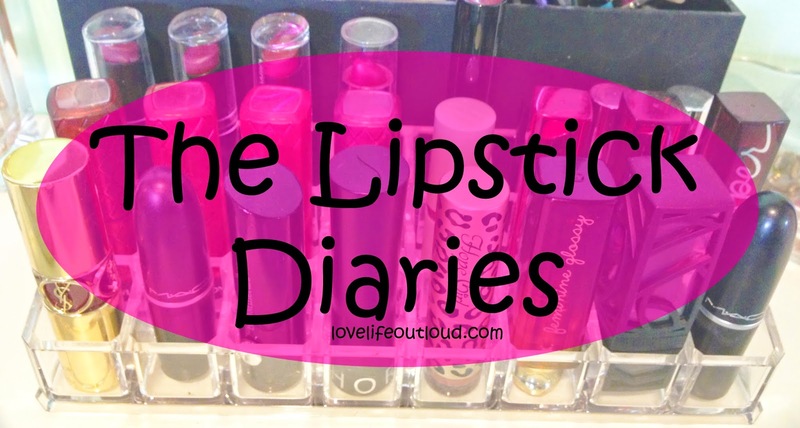 lovelifeoutloud: The Lipstick Diaries #2: How I Failed & What's Next! The Lipstick Diaries #2: How I Failed & What's Next! This will be one of the shortest posts ever but despite failing at this this month I still decided to come on here to talk about it. Some of you may be aware back in January I started complaining about extremely dry lips that were so tightly stretched and dried that they would hurt, yet there wasn't signs of cracking. I really wasn't sure what was going on so I began a process of rotating through a lot of products trying to figure out if I had an allergy. For the majority of March my lips seemed to be making a comeback hence why I was confident in starting this new project. However maybe a week into April the same problem came back now paired with severely flaking lips. It was real nasty and frustrating because it seemed like obsessively putting on lip balm was actually making it worse. Basically what I ended up doing was just leaving my lips alone and just using a light lip scrub nightly that I applied with an old toothbrush. I feel like I'm jinxing myself but that seemed to finally do the trick. I also started using a brand new eos lip balm applying it only twice a day, once in the morning and once at night and I'm pleased to report that my lips are starting to go back to normal. I do wake up with flaky lips but throughout the day it sort of corrects itself so I think with my hands-off approach I can get back to where I was before. What exactly was going on though? To be honest I'm not sure but I have narrowed it down to two lip products that appear to irritate my lips so it appears to either be an allergic reaction to an ingredient or perhaps they are carrying some type of bacteria. I've held on to these two products for one day when I can do some research into it and compare ingredient lists but I would go back and forth between using these products and not and they definitely appear to be the culprit since there's a correlation between use and the state of my lips. Long story short, lipstick diaries did not happen in April, but instead of just declaring the project a bust I am just taking the same three lippies I picked and trying it again for May! Now that I'm at a 99% confidence rate of what was causing my problems and eliminating those things I feel comfortable starting this project. So as a quick reference below is a swatch of the three products I've selected so check back at the end of May to see how I've done with the official round one of the lipstick diaries!